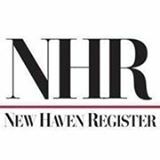 The New Haven Register today is launching “Ask the Register,” an always-on live chat offering readers direct access to editors. Accessible at AskTheRegister.Com, it will enable readers to provide feedback or ask questions about what or how we’re covering particular stories, or why we’re not covering something they deem important. Editors will also use the site each day to publicly share the list of stories reporters are working on and let readers know as breaking news happens that we are on the way. Reporters will use the site to share crowd-sourcing queries related to their stories. AskTheRegister.Com is powered by the ScribbleLive live blogging platform. To comment or ask a question, readers can log in with the site or use a variety of social media accounts to log in. Readers can also participate in the live blog via Twitter by using the hashtag #AskTheRegister. Send your comments and questions to us starting in the early morning at 6 a.m.! We will be here to field them! LOVE this idea. Curious whether there’s any ability to receive push notifications when something new is added, or when someone responds to a question you’ve posted. Thanks, Elaine. I need to consult some of our ScribbleLive experts on this. I don’t expect readers to be obsessed with our process enough to have this open all the time, so a notification system to keep the thread of back-and-forth conversations would be great.